I am posting a little later than usual on this Saturday. I needed a walk in the beautiful fall sunshine and some time skating through the fallen leaves. There are colour explosions everywhere in my neighbourhood. Just gorgeous. This week I want to celebrate some general things – like the beautiful fall we are experiencing, the support of good friends and the strength I take from my daily walk to work. I also want to share a little bit of this and a little bit of that from my week in my classroom. 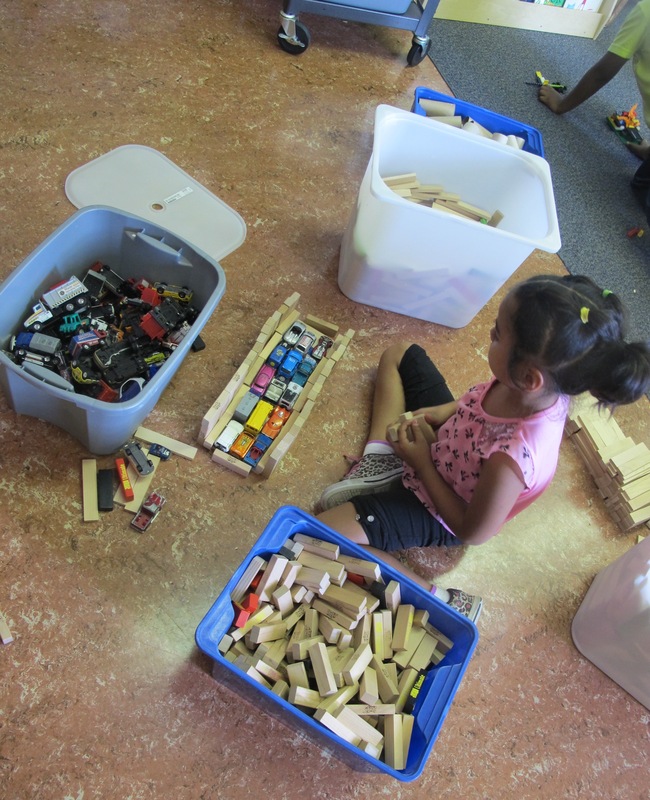 I honour the importance of play and all of the language, problem solving and creativity it inspires. I am thrilled that one child fell hard for Lunch Lady by Jarrett Krosoczka. He just hasn’t figured out how to read them all at once! 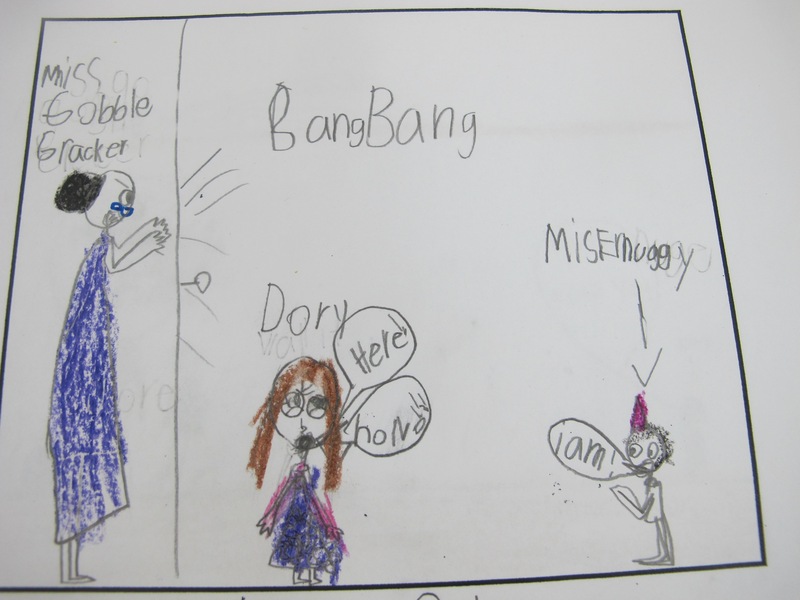 We finished our first novel of the year – Dory Fantasmagory by Abby Hanlon and the students drew some pictures and did some writing about it. 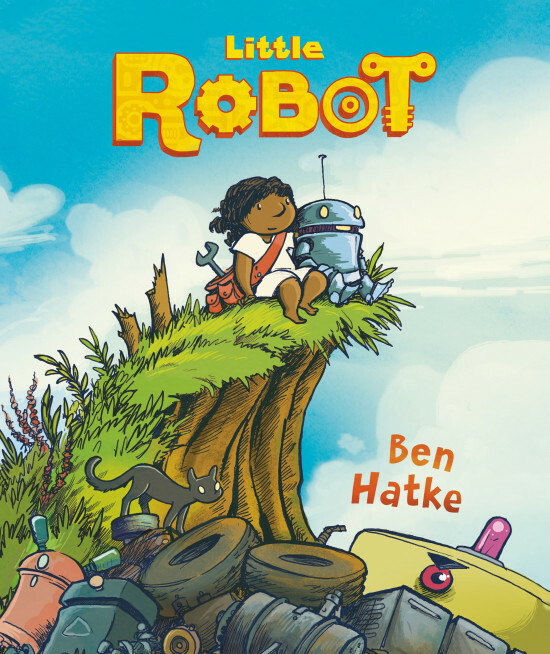 I had the opportunity to go see Ben Hatke here in Vancouver and have started reading Little Robot to my class. 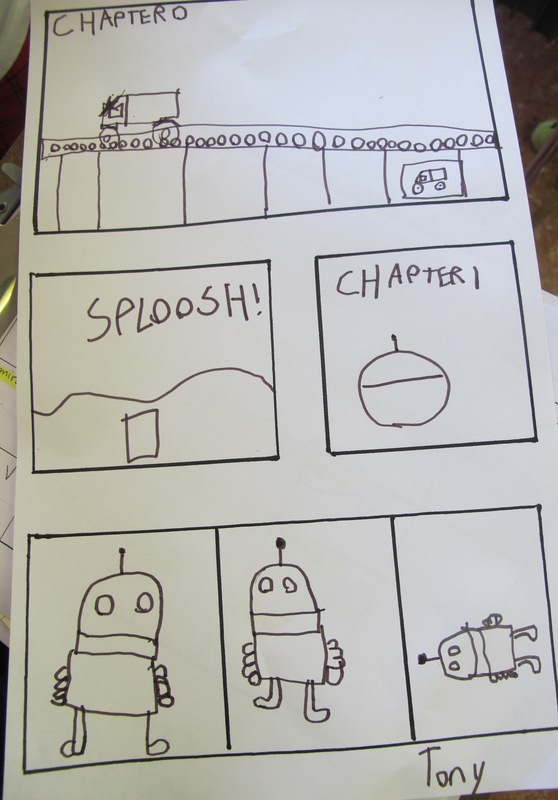 After I shared the first 25 or so pages of the book, the children did some robot drawings. One little listener was able to retell much of the first section after just that one read through. Impressive! The robots are all kinds of adorable. 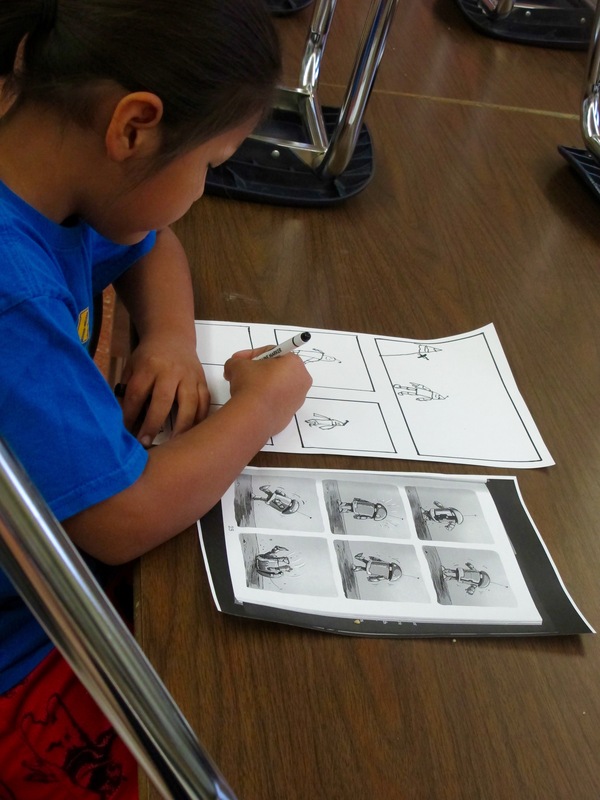 One child was away when we did our art and came in early one morning to work on his drawings. I am happy to celebrate this, that and all of it. This entry was posted in Art, Celebrate this Week and tagged Abby Hanlon, Ben Hatke, Celebration, Jarrett J. Krosoczka by carriegelson. Bookmark the permalink. I love the robots!! I too took a nice walk in the crisp fall air. It shakes out the cobwebs. 🙂 We don’t have so many leaves yet, but they are quickly changing and just starting to drop. Thank you for sharing so much of your classroom bookjoy. Thank you Crystal. Hoping to have some actual robot art up on the walls next week. The students are loving this title! Love the robots from your students, Carrie, and I agree, being outside is a pleasure these past few days. I’m glad to see the beautiful changes. Thank you Linda. These robots are very charming in my opinion! Biased as it may be. Sounds like a wonderful week, Carrie! I’m glad you are having pleasant weather too. The east coast is experiencing major rainfall, and we’ve been under a cloud since Tuesday. The sunshine on a fall day is definitely pretty wonderful! Wow, thanks Michele. We sure loved Dory! I love the books you shared I’m going to add them to my library. Happy Reading! It was lovely to have you share some reading time with us! I love all these reasons to celebrate about books! I love the book shelf picture. Such great books that you are sharing with your students! Thanks Lisa. 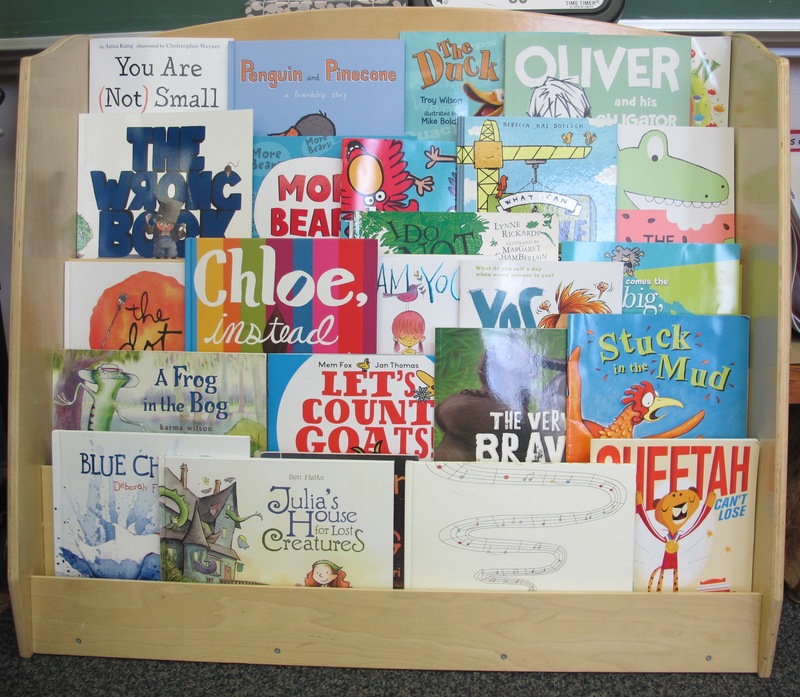 We are enjoying falling fast for many wonderful picture books! Ahhh…. I love fall. The leaves are, indeed, explosions of color! A gentle celebration this week, Carrie. I sense the need for calm and reflection in your post. Hoping things are feeling more settle in your class and school. 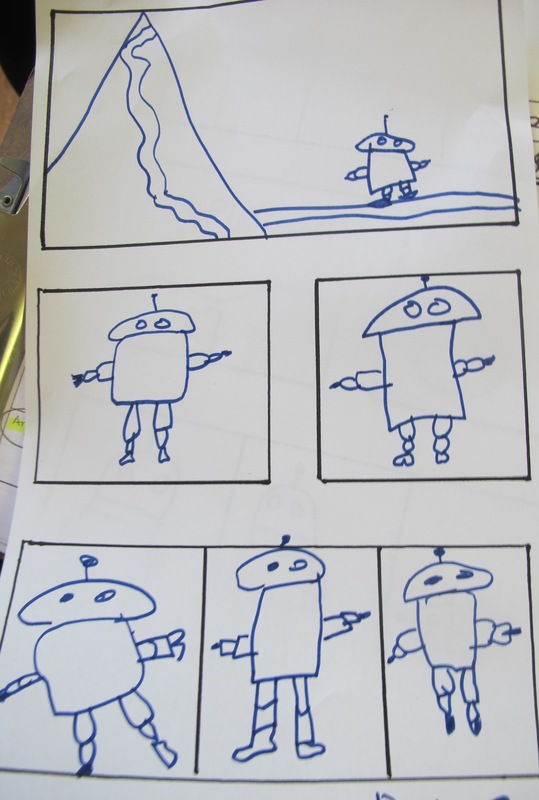 I loved the robot drawings! I have not “met” Little Robot yet but am looking forward to it! Happy Sunday! Hi Adrienne. Thanks for connecting. Little Robot is quite lovely – I think you will love this title. It was wonderful to meet Ben Hatke in person. I love his work. So glad fall is here! Love how reading filters through so much of your classroom. Equal parts joy, play and reading! Isn’t that comment the best. Makes me so happy to see the students recognizing our reading together happiness. 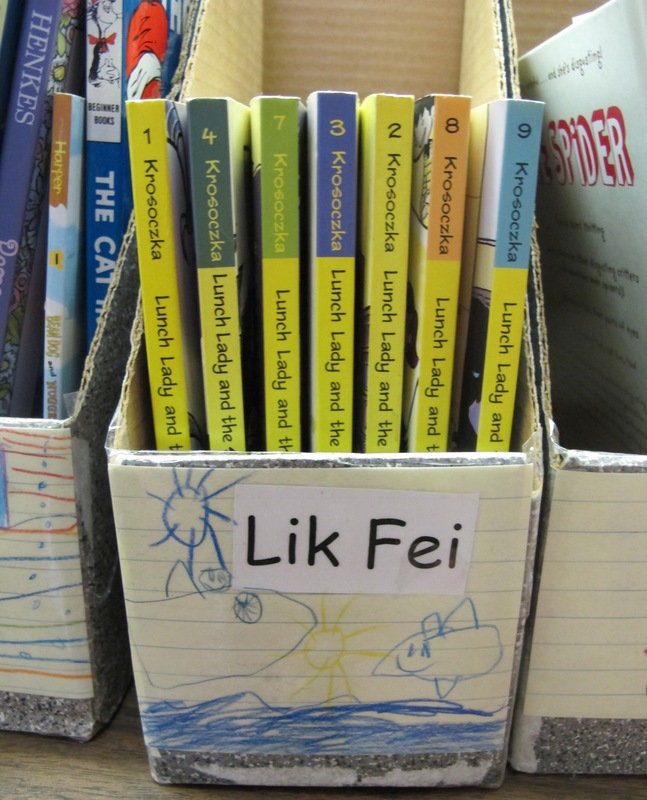 It is so fun to see all the book fun going on in your classroom. Thanks for sharing.